Wedding day is supposed to be fun and memorable in all good ways for the happy couple. Take the stress out of the wedding day and its planning by hiring a wedding planner Toronto. Art of Celebration offers reliable, friendly and experienced wedding planning in Toronto. It is very important for the couple that everything looks perfect and goes smoothly for everyone on their wedding day. Our wedding planners will manage all the details on your reception. For everything to go smoothly and perfectly, takes planning and a lot it! From wedding decoration to guest list and seating charts we will do everything for you! You just show up and enjoy the day with your beloved, family and friends. Wedding decoration is one of the biggest elements of the reception day. It is one of the first things the guests see when they arrive at the reception hall. There are many small details and décor pieces used to make a reception hall look like your wedding party. Our wedding coordinators Toronto will plan with your wedding day from the very beginning. We start with your hopes and wishes and go from there. From colors of fabric from the chairs to wedding flowers we will coordinate everything with you. Before finalizing anything we will always get approval from the couple. Flowers at the reception add an elegant touch to the reception hall. Art of Celebration has business contacts with many flower merchants. We provide the freshest wedding flowers for your reception. We offer a wide assortment of wedding flowers. Our wedding coordinators will finalize the variety, colors and numbers of flowers as per your wishes and budget. You will choose the type of decoration you want at your reception. We have many pictures of various types of decorations. You can choose any beautiful idea from our catalogue, mix and match or bring in your own unique vision for your reception. Our experienced wedding planners Toronto will make it work for you. We also make beautiful center pieces for tables with wedding flowers. These center pieces can be as simple as few elegant flowers in the glass vase or as elaborate as towering and shimmering pieces with colorful flowers. We have wide variety of colors of flowers which can match the color theme of your reception. We also use petals for decoration around the cake, stage also on the tables in the reception hall. 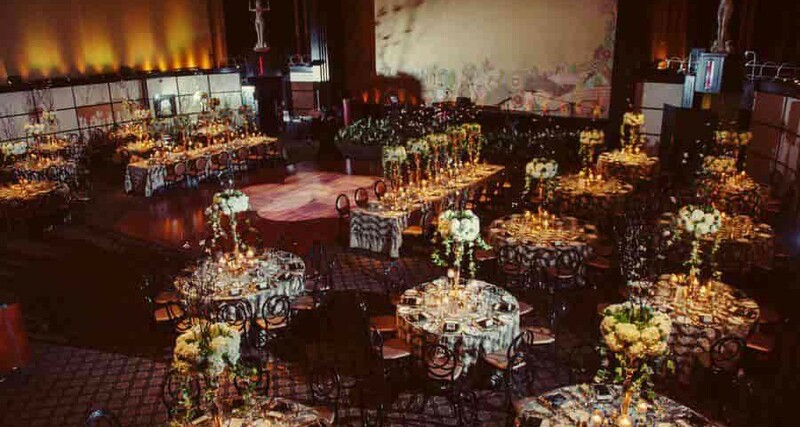 Flowers make the whole reception hall look beautiful and dreamy. Our wedding planners at Art of Celebration will make your dreams come true! Our wedding coordinators will ensure everything matches and compliments the happy couple on their wedding reception. Wedding decoration with beautiful accent pieces and culturally important pieces will make your wedding unique and one to remembered. Our photographers will capture everything and all the memorable moments happening at your wedding. Art of Celebration is in the business over 15 years and making your reception and pre-wedding events into memorable and unique ones, for you and for your guests. Call us today to talk to one of our professional wedding planners in Toronto to inquire about our services.